According to a recent study by IBM, rising customer demands ranks as the third highest supply chain challenge behind cost containment and visibility, and two out of every three companies struggle to accurately identify customer needs. While having out-of-stock items means that some shelves and warehouse racks are empty, the irony is that there are billions of dollars wasted each year in excess stock. And most businesses struggle to find an optimised balance between the two costly challenges. Maintaining inventories is necessary for any company dealing with physical products, including manufacturers, wholesalers, suppliers, distributors and retailers. In the US alone the manufacturing and trade inventory on-hand was estimated at $1.812 trillion in June of 2015. 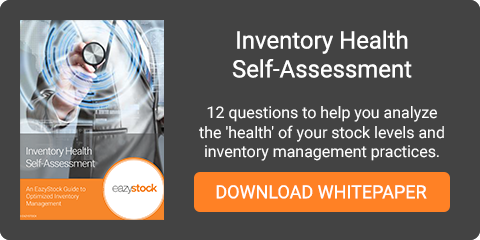 With that much inventory on-hand, it begs the question, how much of that inventory is excess stock or even obsolete stock? The annual amount of these costs is accumulated and divided by the average inventory investment. The carrying cost is expressed as a percentage and the values currently range on average between 15–20 percent. 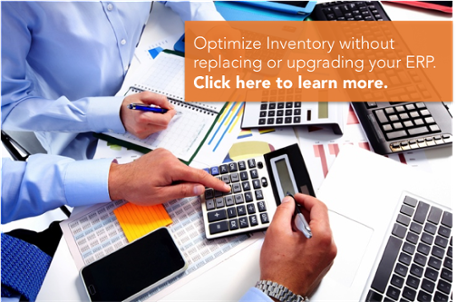 It is the largest component of the total costs of carrying inventory. It includes everything related to the investment, the interests on working capital and the opportunity cost of the money invested in the inventory. One way to determine the capital costs is to use a weighted average cost of capital (WACC). This is the rate a company is expected to pay on average to all its security holders to finance its asset. Typically, capital costs tend to be vastly underestimated by inventory buyers. A common mistake to avoid is to reduce them to short-term borrowing rates since rates can fluctuate over time and hurt profitability. Storage space costs are a combination of the warehouse rent or mortgage, lighting, heating, air conditioning, plus the handling costs of moving the materials in and out of the warehouse. These costs are dependent on your type of storage and if you have a privately owned warehouse or use Third Party Logistics (3PL) providers. Well serviced material handling equipment will also ensure you keep costs down and keep workers safe. Inventory service costs include insurance, IT hardware and applications, and tax in some countries, but also physical handling with the corresponding human resources and management personnel. Also in this category are the expenses related to inventory control and cycle counting. The insurance that a company pays is dependent on the type of goods in the warehouse as well as the inventory levels. The higher the level of inventory is in the warehouse, the higher the insurance premium will be which can also eat away at profit margins. This cost covers the risk that items might fall in value over the period they are stored or that they become obsolescent. Risks first include shrinkage, which basically is the loss of products between the recorded inventory and the actual inventory. The difference is caused by administrative errors (shipping errors, misplaced goods, systems not updated, etc. ), pilferage, theft (including employee theft), damage in transit or during the period of storage (because of incorrect storage, water or heat damage, etc.). Inventory risk costs also take into account the obsolescence factor, that is, the costs occurring when items are no longer wanted by the market. EazyStock offers a free health check up to help planners identify where costs can be systematically reduced to cut inventory carrying costs and to free up cash flow and working capital. Our team of inventory optimisation experts and consultants will analyse your current inventory management processes and data to help you identify areas of improvement to measurably improve your demand forecasting, supplier planning, inventory optimization, and procurement planning processes.